Our family and local history business interests began as a part time hobby business by Alan and Anthea Phillips from their Adelaide Hills home in September 1976. Alan’s local and family history interests had started five years earlier in 1971. This led to contact in 1974 with Don Grant and Evelyn Brown, partners in History House Bookshop in Melbourne, and who subsequently supported us from our 1976 beginnings. Alan left his former employment with a Consulting Civil Engineering company in February 1982 to develop the business full time. This coincided with the remarkable expansion of interest in family and local history in Australia and worldwide in the 1980s. 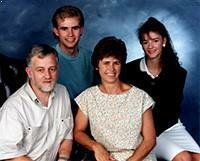 During the 1980s Alan & Anthea’s son, Stephen, and daughter, Alona, joined the business and are still with us today. A number of others, including several of Stephen’s children have also worked in the business at times. A number of sister brands have been established since then. Archive Digital Book Australasia, established in 2003, has digitised approximately 2 million pages of old and rare books with approximately 150 million names. We are a significant supplier of Australian and New Zealand content to Ancestry, Findmypast, World Vital Records and MyHeritage. In 2014 we developed a range of 52 value special collections (our entire range) offered on high capacity USB drives at a fraction of the cost of buying the included products separately. Each collection is fully searchable. And now many of the books scanned are being offered as digital downloads though genealogy ebooks. Gould Digital, established in 2003. Headed by Stephen Phillips to provide digital printing and production service to our own businesses. Now offered to the wider public. major events – supporting and attending events by others and running innovative major events of our own. Since 2010 we have run over 100 Unlock the Past events. These have included expos, roadshows, regional seminars, history and genealogy cruises – and even Australia’s first ever battlefield tour. A 10-day Holy Land tour and genealogy conference is planned for late 2017.
a publishing brand – guide books for researchers – we have published 75 basic guide books since 2010 (to early 2017), with many more planned. In 2016 we started a new miscellaneous series – specialised books with too limited a market to interest most other publishers. general and events directories online. Genealogy ebooks is the ebooks division of Gould Genealogy & History – established June 2013. Initially this will offer all Unlock the Past print publications in parallel ebook editions; and hundreds of Archive Digital Books Australasia data CDs as digital downloads – in time over 1000 titles. Unlock the Past Cruises is an international history & genealogy cruise venture, Following three successful genealogy cruise-conferences at sea organised by Unlock the Past, Unlock the Past Cruises launched separately in June 2013 as a dedicated international history and genealogy cruising brand. Our cruises have ranged from 2-18 days, all but one featuring significant conferences with leading Australian and international presenters. They have ranged over most Australian and New Zealand cities, around the British Isles, the Baltic, the Rhine river and most recently to Papua New Guinea. Our 2018 cruise will be to Alaska. 2019 cruise destinations under consideration are the South Pacific Islands from Sydney and the Mediterranean from Southampton. to provide a platform for others to promote their products and services in Australia and internationally. There are a number of avenues for this – especially through submission of articles for this site and various partnering opportunities with our other brands.